ROYAL Vegas and 7 Sultans, as members of the Fortune Lounge Group, are both offering their players the chance in a share of $1 million in cash and prizes which also includes the opportunity to win one in 50 double passes to go on a luxury cruise. 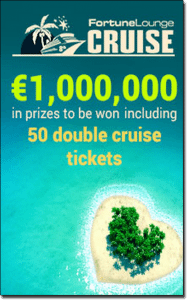 The promotion goes over 12 weeks, and there are five events or mini-promotions which players can enter in order to maximise their chances of going into the draw for the cruise, while also gaining some nice prizes along the way. 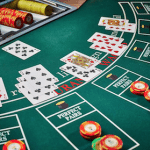 Since we love blackjack, our team thought it would best to find the best blackjack variants available at these two online casinos, so you can earn the required reward points for the draw just by playing the some of the most interesting blackjack titles at Royal Vegas and 7 Sultans online casino and maximise your chance of winning the double pass. Royal Vegas and 7 Sultans offer casinos games from only one software developer, Microgaming. However this software creator is considered one of the best in the iGaming world and that is why the prestigious Fortune Lounge Group only include online casinos operated solely on Microgaming. We have found some of the best Microgaming blackjack variants to make it easier when it comes to choosing what blackjack title to play to win your reward points and gifts during this promotion. Simple game with a slight variation in rules. 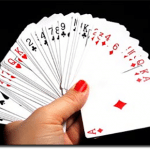 Only two decks are used in European Blackjack Gold and they are shuffled before each round begins. The dealer has to stand on 17, regardless if it is hard or soft. The usual rules of the player trying to get a hand of 21 without busting still applies. Additionally, players can only split pairs once. and can double only if their two cards amount to nine, 10, or 11 after splitting. This one is an interesting variant as it has a unique side bet on top of the original European Blackjack Gold. The same rules as above apple with the variant played with two decks of cards and the dealer standing on soft 17. However players can place up to five bets, along with five of the unique side bets. The side bet involves getting a pair with certain matches seeing various payouts including 7:1 for a mixed pair, which is the same number but different suit and/or colour; 15:1 for a coloured pair, which sees two cards of the same number and colour, but different suit; and finally a massive 30:1 for a perfect pair which is the same number, same colour, and the same suit. Splitting once is also allowed in this variation. Play these blackjack variations in conjunction with the promotion in order to win reward points as well as a share in prizes including cash. For every 200 reward points you earn from playing casino games at Royal Vegas and 7 Sultans, including the aforementioned blackjack titles, you get one ticket entry to the cruise draw. If you’re lucky enough to win a double pass on the cruise, there’s also competitions and promotions on board for you to enter including free meals and spa vouchers. The promotion started on May 1, but goes until July 31, so head on over to either of the recommend Microgaming online casinos for your chance to win a double pass to go on a cruise, along with a bunch of other prizes.